While strengths can be improved, when weaknesses are not addressed, the desired improvements are not achievable. Determining weaknesses and strengths is much more important when it comes to safety issues in critical industrial units. Oil, gas and petrochemical industry is the main pillar of the economy in Iran. Not only most of the oil, gas and petrochemical infrastructure in Iran are old and worn-out, but also the safety management practices are not adequate. Resilience engineering is a growing concept toward proactive and preventive safety and performance improvement in critical industrial units. 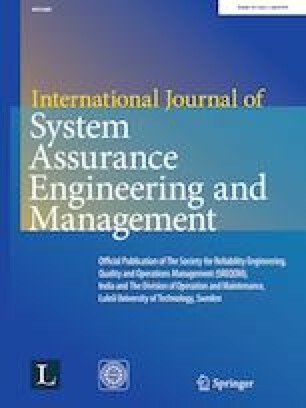 This study presents a new algorithm for performance evaluation of resilience engineering culture in critical industrial units. A petrochemical plant is considered as a real-life case study to demonstrate the application of the proposed methodology. The presented algorithm is based on graph theory, statistical methods, and matrix algebra which offer some desirable properties for modeling and solving complex decision-making problems and considers the interactions between factors. To the best of our knowledge, this is the first study that proposes a performance evaluation algorithm based on graph theory and matrix approach.